There are many things in this world that you can’t obtain without money. Houses, cars, clothing, food – it all requires some kind of money or assistance. 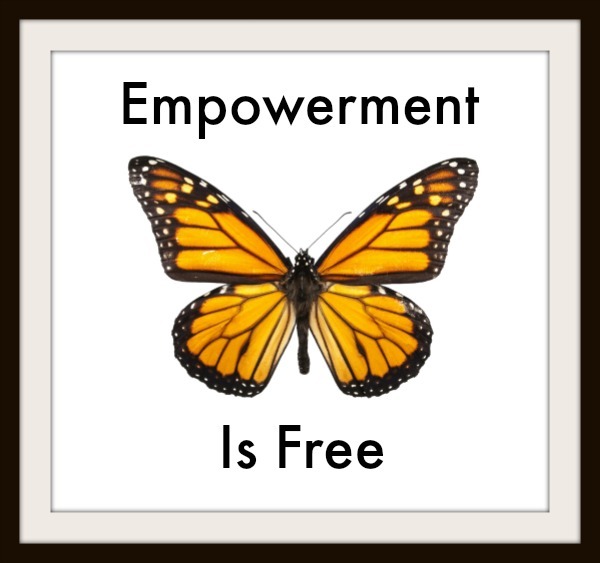 But empowerment – my friends, empowerment is free. I am a HUGE proponent of empowering the ones that I love and the ones around me and I want to provide that for you as well. Each and every Wednesday, I will be bringing you an article, a saying, a poem or something else that I feel will help empower you to be the person that you want to be and that you truly are. Because the bottom line is, empowerment is free. Starting next week we’ll get into my favorite saying – you are in charge of your own destiny. I look forward to chatting with you and hearing what you think each week! Looking forward to your new series, Alli! It sounds wonderful. Can’t wait, Alli, it sounds awesome! I can’t wait for next week’s post!